The following is a transcript of Revenue’s letter of 3 April to the Irish Tax Institute in relation to their ongoing Contractors Project, challenging travel expenses and other overhead cost claims by owner-managed contractor companies. The original is here. See also my commentary. I wish to brief you on developments in the contractors project, which will be of interest to ITI members. We have reviewed progress on the audits remaining open in Phase I of the project, which relate to some 550 cases. At the outset, it was our intention to progress cases quickly. In the event, there have been delays, largely arising from the focus on travel and subsistence expenses which became central to the project. Requests for clarification of the rules applying to such expenses delayed progress and resulted in the issue of Tax Briefings 3 and 4 of 2013 and in some correspondence and meetings. All general issues of clarification and interpretation were dealt with by the end of 2013, so there is no longer any justifiable reason for delay. Accordingly, it is now appropriate to move towards conclusion of this phase of the project. Where there is material on hands awaiting a Revenue response, responses will issue as a matter of urgency. Cases where there is no evidence of significant liability will be closed. o where intention to make a disclosure was indicated but no qualifying disclosure has yet been made will be notified that the concessions set out in my letter of January 2013 will be withdrawn 20 working days from the issue of the notice, after which full Code of Practice terms will apply. Cases that received an audit letter since 1 January 2014 will be progressed normally, within the terms of the project. It appears that some taxpayers may be reluctant to agree a settlement due to fear of inability to pay the agreed liability. I would like to emphasise that no discussion on ability to pay can take place until the liability is settled. We remain open however to discussion of timing and methods of payment to ensure there is no undue hardship. In that regard, the Collector-General’s procedures for dealing with difficulty in payment will apply, including verification of inability to pay, and instalment arrangements in appropriate circumstances. 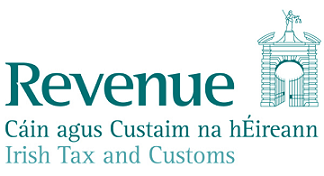 Guidelines can be viewed at http://www.revenue.ie under the link “Tax Payment Difficulties”. Each case will be considered separately. Taxpayers are of course entitled to adequate time in which to respond to Revenue queries, and the letters described above will issue only where the caseworker is satisfied that there is no good reason for the delay experienced. Every effort will be made to arrive at an agreed settlement, but it is unfortunately clear at this stage that there is widespread delay, and this cannot be tolerated indefinitely. Assessments will be raised where necessary, and interest and penalty will apply as appropriate. If you have concerns about your own position, you should review the implications of the current Revenue contractors project with your accountant or tax advisor, and if necessary, seek independent professional advice, as soon as possible. for the besxt corporate weeb design company, read further. devices such as mobile phones and personal digital assistants. Therefore, it is eminent for all online entities to develop their website in tthe most user friendly manner. Helpful facts. Blessed me I found your internet site out of the blue, with this particular dismayed the reason this kind of accident would not happened before hand! I personally added the item house cleaning service in Huntington Beach, CA.